Calendars are office essentials that are needed to plan your schedule and remember important dates. You can now print calendars with some class, elegance and panache with the two sided tent card calendars. These calendars will liven up the room anywhere they are be it on your office desk, in the cubicles of your employees or in the office break room. 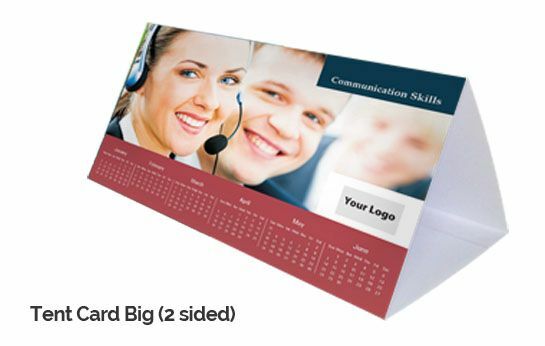 These two-sided printed tent calendars are freestanding and can be kept on any flat surface, they are completely collapsible and can be flattened so that they don't take up excess storage volume while being transported. PrintStop’s desk tent calendars are made from premium high quality crisp card stock, which will last all year long without getting degraded. To reach the desired date all you need to do is flip from one side to another. Tent calendars are a great gifting option for your clients or other business relations. 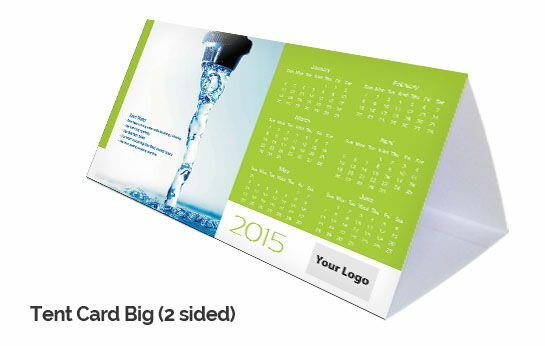 With PrintStop, you can print custom desk calendars online with your own design as well as personalized texts and logos. You can either create your own 2 sided tent calendars or you can select from some of our vibrantly designed templates, which you can check out here.